Let’s face it! Some of us are just not cut out to be morning people, right? Wrong. We can all wake up in the morning. We just need to make it a habit. There are so many ways an extra waking hour can help us. Spend time with yourself: Inhale the fresh air outside and take in a bit of the nature around you. Listen to your favorite music and take a leisurely stroll. Organize your comfort place better: Try using your extra hour for organizing a messy wardrobe or doing a portion of the laundry so you have extra time to enjoy during the weekend. 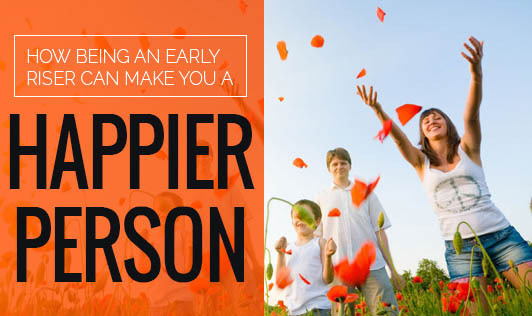 Talk to your parents: Use the first hour of the day to spend time with your parents. You will feel closer to them and emotionally secure too. Connect with a friend: If you have a friend stuck in a different time zone, talk and share your thoughts with your buddy. Plan you day better: If you wake up early, that extra time can be used to decide about what you are going to wear that day and plan the chores you can finish. You can also go through your kids’ school diary and stay updated on your kids’ activities. This will ensure better peace of mind for you. Groom yourself: Use the first hour of day to take care of your appearance. Try on a face pack, get a short massage, or simply oil your hair leisurely. You will certainly feel good. Life is nothing but a collection of moments. Make the best of everyday.